According to Research in Japan, the risk of tumor has been reduced by applying virgin olive oil after taking sunbath.There are lots of health benefits of Olive oil, check out below unknown health benefits of Olive Oil. According to health scientists, olive oil contains phlevenoyds skevelin and polyphenols antioxidants which prevents free radicals from the damage. 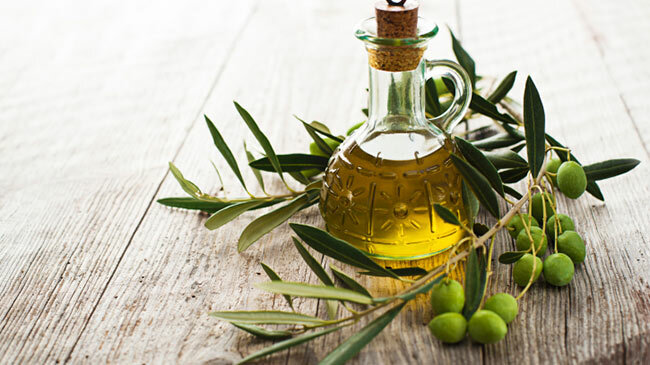 Another research has showed that olive oil works in colon cancer. It also controls the blood pressure. Enemy for Wrinkles: Mix lemon juice with olive oil three times a week and do facial massage. It not only removes the wrinkles but also makes shiny skin. You can also put in hair. It also settles the hair issue. Take a little olive oil in your palm and apply it in your dry hair. It makes your hair silky. It will also reduce dandruff problem. Shiny Elbow: Mix olive oil and lemon juice. Rub this mixture on your elbow. This will remove blackness and moroseness from the elbow. Your elbow’s color matches with the hand. Facial: Wash your face with plain water. Now do massage with olive oil. Then rub the half a teaspoon of sugar on your face. Finally take a soft cloth and soaked in warm water. Wipe your face with towel. After few days, you’ll see that your face become shiny. You can also apply olive oil on your dry, cracked lips. Strong Nails: Olive oil is useful for rough and disorganized nails. Keep your nails in olive oil for half an hour. It makes your nails soft and flexible. It will work better than any cream. You can also apply olive oil on your legs and wear cotton socks while sleeping. Your feet will be soft and shiny.